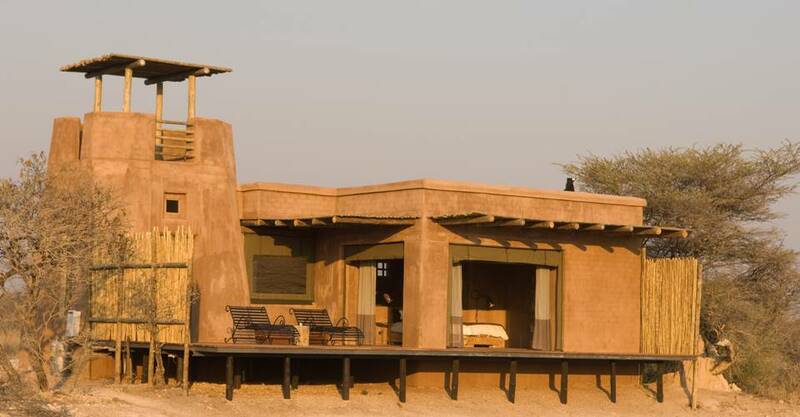 Onguma The Fort is a unique lodge with possibly the best sunset view over the Etosha pan. 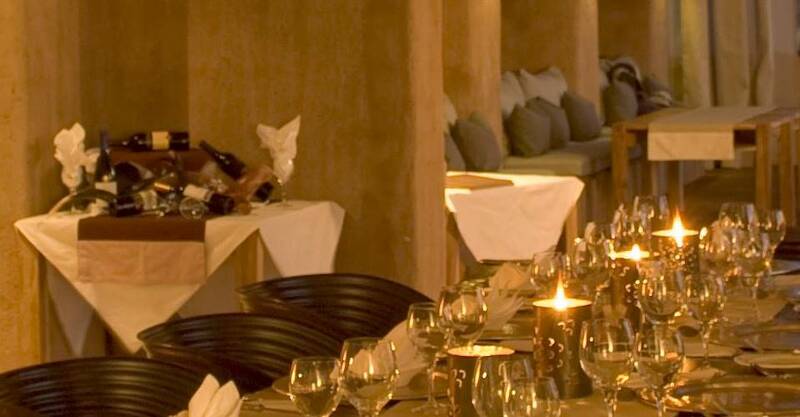 Accommodation consists of 11 bush suites as well as a Fort and Sultan Suite. The Sultan Suite is inside the Main Tower of the main building. 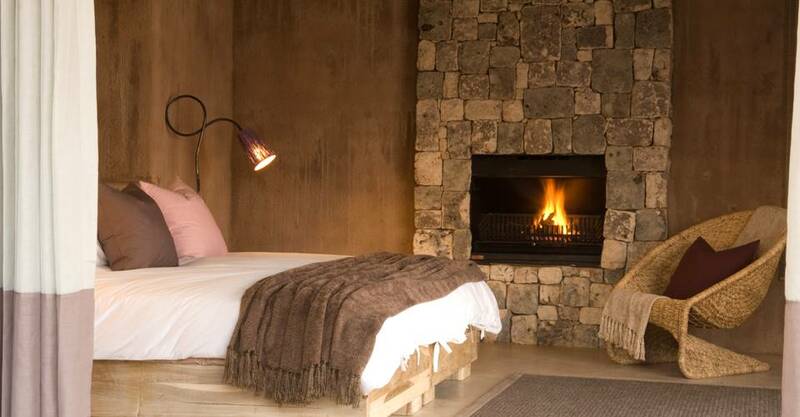 It has a large beautifully designed bedroom that leads into a lounge area and out onto a small private viewing deck. The lounge is with a satellite television system, a bar fridge, and telephone facilities. And for those warm evenings, you have an air cooling system as well. The large bathroom has a beautiful open shower area, as well as a bath in which to relax and reflect on your day’s experiences. There are fireplaces in each room for the cold winter and air coolers for the summer. The Onguma Fort is an afro Moroccan design and blends with the natural surroundings. Each suite has an indoor and outdoor shower with a view. The suites are on either side of the main complex with the Sultan Suite being in the main complex. 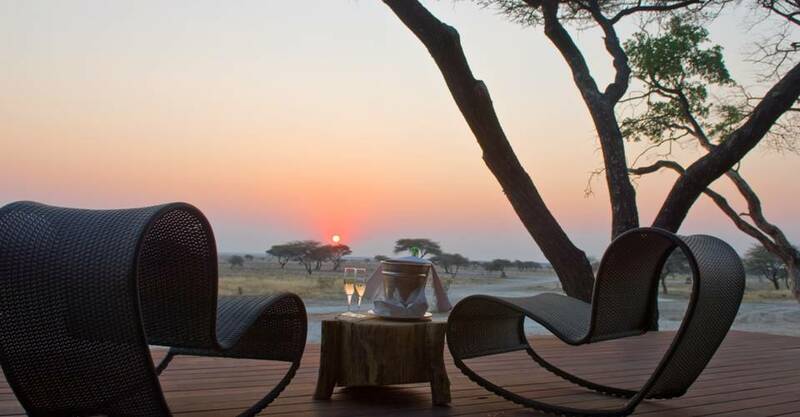 The suites are all very private, about 50 meters apart all are equipped with a bar fridge, telephone and a large private deck with views over the active waterhole. 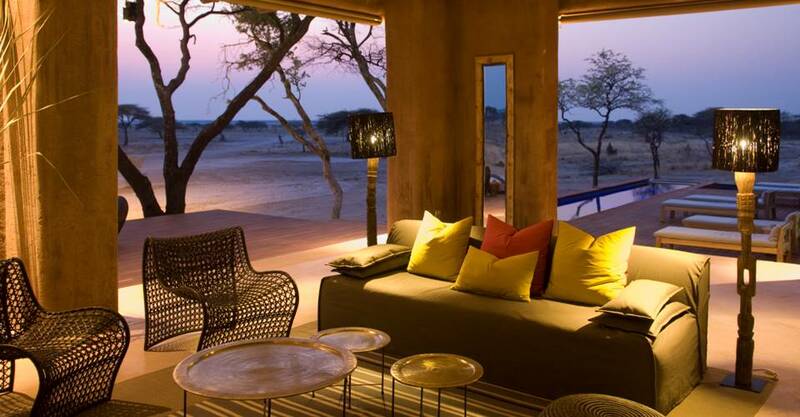 The fort is located ideally for some of the best sunset views in the Onguma game reserve. Onguma night & sunset drives. Fort style main complex on split levels. 1 Honeymoon Suite(includes a lounge with flat screen television and outdoor bath and shower). The Sultan’s Suite on the upper level of the main complex(consists of a lounge with flat screen television, bath and shower). The central guest area consists of a lounge, two dining areas, a conference room, a tower bar as well as a swimming pool. Free Wi-Fi available to guests at hotspots. The Fort has no fences in and therefore no children under the age of 7 years will be allowed. Children from 7 up to 11 years sharing with adults pay the above child rates. 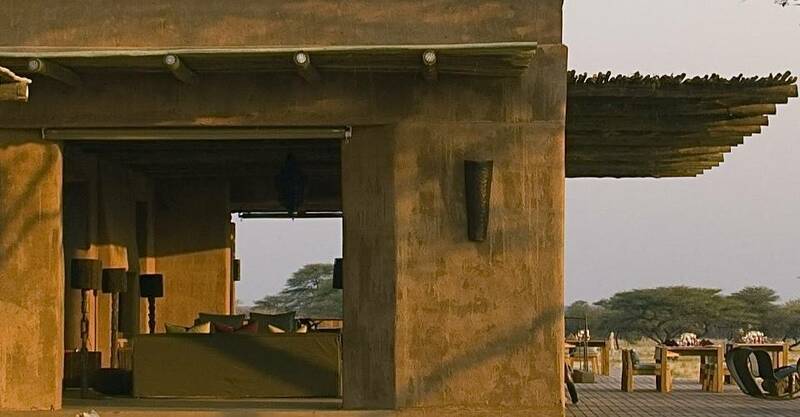 If the Guide Room at Onguma The Fort is already booked, guides will be accommodated at any other available camp at The Fort guide rates .